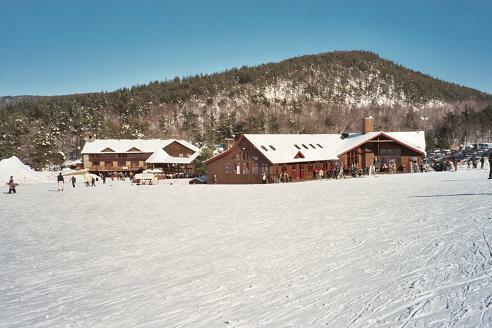 New Hampshire is the center of New England's snow country, and it is a favorite skiing playground for many kids and teens from New England and beyond. This site is created for junior skiers, and by junior skiers. 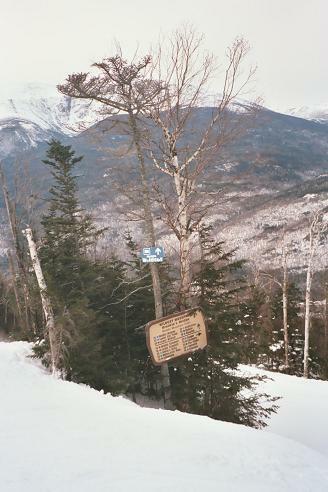 It is the www hub for youngsters skiing in New Hampshire. Please scroll down this page to get information about NH ski resorts, to see ski resort photos, to learn about ski programs for children including racing programs, events, free skiing for children and discounts, to find equipment reviews, movies, shops. Here, you will have a chance to test your knowledge or simply play a game. 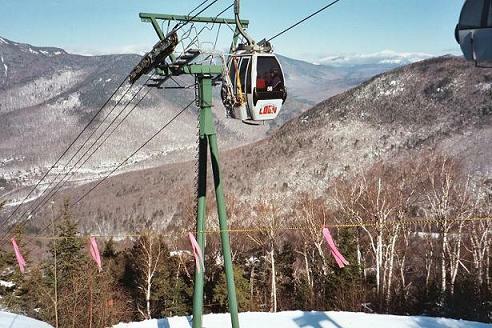 There is a special page devoted to high-speed ski lifts in New Hampshire. This site is open to contributions from junior skiers. These contributions can be NH ski resort reviews, trip reports, skiing season summaries, or any other NH skiing experience stories shared by junior skiers. If you are younger than 18 and interested to contribute, click here to learn how to submit your review/report/story or an electronic copy of a picture. Also, please feel free to contact us to submit an announcement about an event related to junior skiing in New Hampshire. Virtual Descent is a new and unique feature of this site. It allows you to experience the thrill of going down a snowy slope right here without leaving your computer. We try to compile these descents for some of the most difficult trails in New Hampshire so that even if these trails are yet beyond your reach, you will be able to find out how they feel virtually. 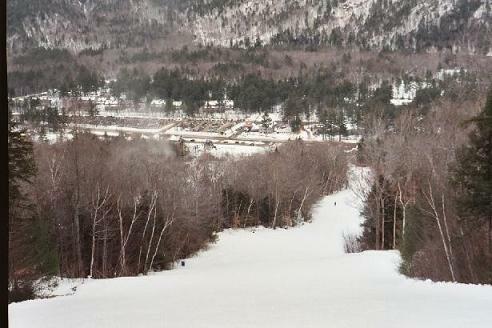 Aerial Previews allow you to watch New Hampshire ski resorts from the air, from the height of a chairlift. Each preview is a slide show exhibiting several photos taken from one lift. 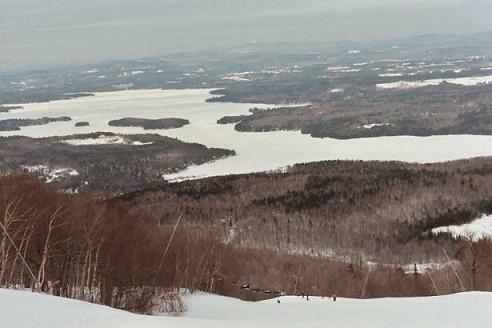 Video Clips featuring New Hampshire ski resorts. These video clips have higher resolution than YouTube. For more information on New Hampshire skiing, please visit complementary New Hampshire Skiing site. New Hamphire is the home of White Mountains. Mount Washinton is the highest peak of White Mountains and also the highest point of the US Northeast. Click here to see pictures of Mount Washington and other New Hampshire scenery. 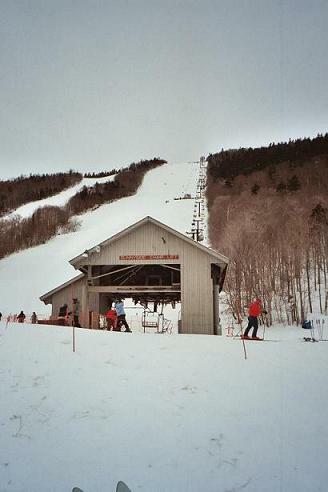 (photo hosted by USA Today) "New Hampshire ski racers, hope you enjoy this site. Ski fast and have fun!" Bode Miller was born, grew up, and learned to ski and race in New Hampshire. He is one of the most fantastic athletes of the twenty first century. He still has close ties with the New Hampshire skiing community. 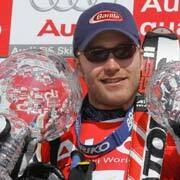 Order Bode Miller's book 'Go Fast, Be Good, Have Fun' published by Villard in October 2005. Order DVDs: In Search of Speed - a documentary by Jalbert Productions featuring Bode Miller and Daron Rahlves; Flying Downhill - a film about Bode Miller by W.C. Rogers. Visit Bode Miller's web site! * All prices are for the 08/09 season. Accuracy of the prices is not guaranteed - please check resort web sites for the latest information. At most resorts, kids under age 6 ski free. Children: ages 6-12. Teens: ages 13-18. The prices for holidays are the same as those for weekends. Holiday dates vary by year. They are days between Christmas and New Year, Martin Luther King Day weekend, the week of President's Day. For more data on NH ski resorts, please go to New Hampshire Skiing page and see a ski resort comparison chart there. Sign up for the Rippin' Rider Team. If you test skiing gear at New Hampshire ski resorts, you are welcome to share your insights here - please email. Mountain Dew Vertical Challenge is another racing program open to all ages and abilities. The Academy is a five month snowsports and academic school for 6th-12th graders who are dedicated to pursuing alpine racing, freestyle skiing or snowboarding in parallel with their academic studies. Also, for junior racing activities, look at the Children Seasonal Programs in the ski resort chart. To participate in the program, fourth graders have to complete an assignment or extra credit project related to the history of skiing and riding in New Hampshire. 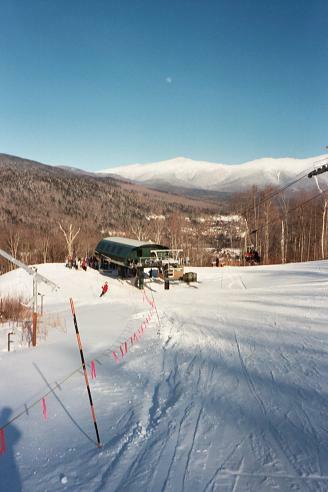 Participants receive a coupon book with a lift ticket and trail pass to every Ski NH member area and other discounts. Participants receive a coupon book with 1-3 lift tickets and trail passes to every Ski NH member area and other discounts. 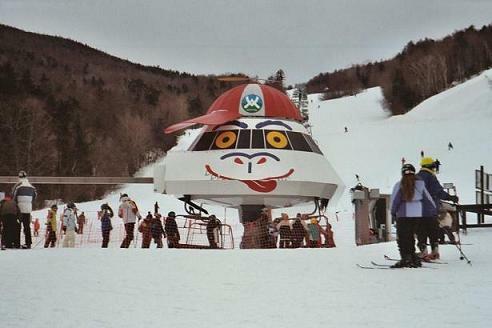 There are yearly ski expos held in New England. They post the schedule of upcoming expos in advance. November 20 - 23, 2008 - Bayside Expo Center, Boston, MA. Usually, one can find some good deals at the expos on both equipment and ski resort packages, especially on early season packages. Please be afraid though of being trapped into a time share deal. Speaking of skiing movies, Warren Miller set up a standard in this industry nitch. His first film was shot in 1950 and he continued by making one film each year since then. The best place to get skiing posters for free is at skiing expos (see the section 'Racing, Events' above). There, one can usually find map-like posters, famous racer photos, etc. Now for a change, try brain teasers. I would recommend those marked 'cool'.